As the Week 9 games approach, we need to look at the latest betting odds to see exactly how well each franchise is being predicted to win. However, it is a longtime tradition that even underdogs have a chance when it comes to the NFL, as comebacks and last minute touchdowns are always a highlight during the season. Let’s take a look at the odds of each matchup this week and see which underdogs have a chance to beat the spread. 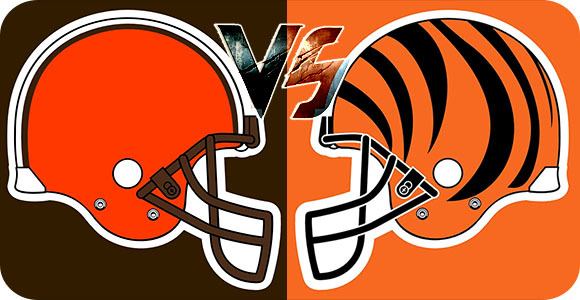 The first match of the week on Thursday between the Cleveland Browns at Cincinnati Bengals is a good one to place a little action on the Browns, especially with that large point spread. The Bengals may win the game, keeping their undefeated status, but the Browns have been doing very well in terms of scoring and keeping the game close. They have a great record going against the spread, with a current record of 10-4-1 during the last 15 games they have played. For this game, the underdogs may end up covering the spread. The in-conference game that may mean a risky bet, but could end up paying off is the Oakland Raiders at Pittsburgh Steelers game. The spread for this matchup is not big, but when taking into consideration how the present status of the favorites offense, it is likely they could fall short of winning, but it will definitely be a close scoring game. For the Steelers, they now have Ben Roethlisberger back, but he is not looking as good as most had hoped and they are still missing Le’Veon Bell. So, Oakland could covr the spread, and if things go well enough, may even add another victory to their record. The rest of the games seem to be right on point, although if you are feeling frisky and believe the Redskins could keep top ranked New England Patriots to a 13 point or less score difference, you could give that heavy underdog a try as well. With these betting matchups it gets harder to see which underdog stands a chance when the point spread is so close.